Aaron Jennings breaks down the standouts from each team from Sunday’s event. LEBANON, Mo. 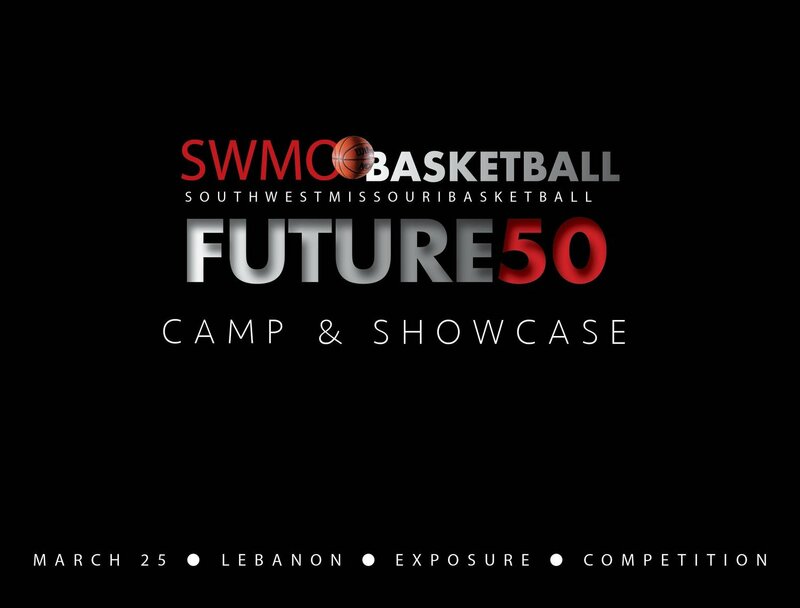 — The second annuall SWMO Basketball Future 50 Showcase brought together many of the region’s top players last Sunday at Lebanon High. 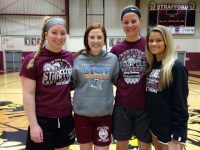 Here is a look at the Class of 2020-2022 girls’ basketball players at the event. The players are listed by the team they played on and their jersey number. A fiery player with quick feet and a good feel for the perimeter. Adams is great at getting open looks as she comes off screens and works her way inside and then back out. An unselfish player who can get hot from distance. 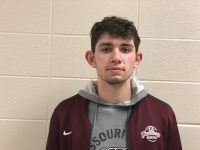 An intelligent player with a strong athletic frame, Cunningham is one of the most underrated players in the Ozark Conference. 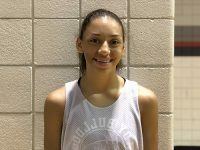 She has a versatility to her game who can see time as a guard and a forward. She can go inside to score and pull it back to shoot. A player who gets on the boards and protects the basket at a high level. 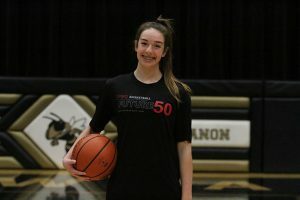 A tall wing player who can handle the ball and shake off defenders when she’s comfortable. 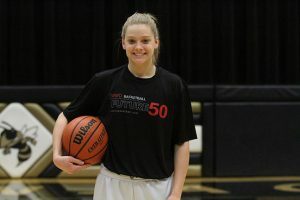 She has great size and can block shots and play as an athletic post wing player. A match-up problem for many opposing players and someone who shows promise as a scorer. Lewis is all hustle. 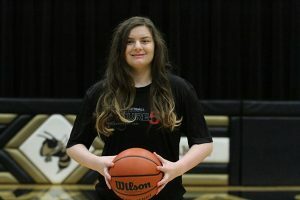 She fights for rebounds, open shots and values ball security. 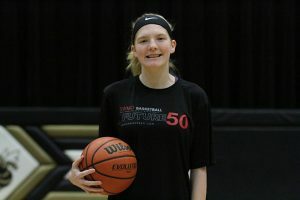 She runs the floor well and she gets inside and grabs rebounds no player her size should be able to grab. A tough kid who plays good defense and handles the ball. She played point a lot and looked to get around defenders with her dribble. 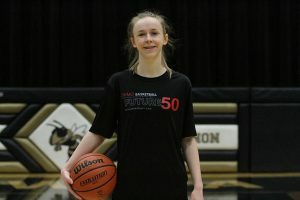 She plays off the dribble and can slash to the basket and get floaters and other one-handed shots off against taller opponents. An athletic forward, Moad can block shots, score inside or step out to the perimeter. She handles the ball well for her size and can mix things up with her outside game. Some post players can put their back to the basket and score and shoot well from behind the 3-point line. Moad has a lot of potential to be very versatile. 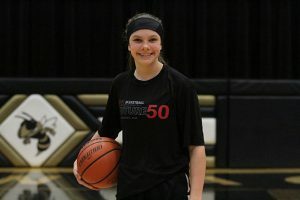 A fine outside shooter who lets it fly whenever she has the smallest bit of room. She has a quick trigger and a lot of range. She shoots a clean shot and has good form and confidence from a foot or so behind the line. She can lead a team with her scoring and off ball presence. 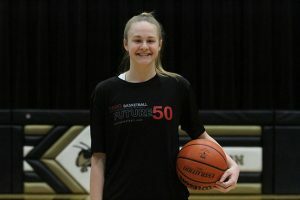 A nice wing/forward who can shoot from distance when she has the look. 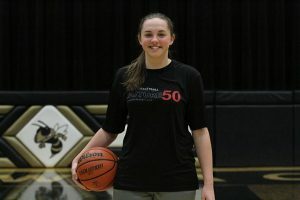 She shoots a high percentage shot inside and out, but she doesn’t always look to score as much as she should. She uses her shoulders well to feel for space on the block and contributes a lot of effort of the glass. An off the ball player who can shoot and can score through contact. 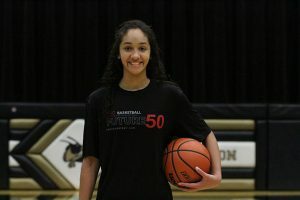 She has good vision and played well when she had the ball in the corner or the wing. 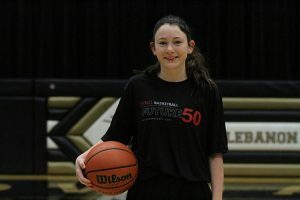 A good passer who has a high basketball IQ and a lot of experience for her age. 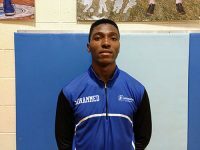 A crafty, all-around player who is capable of putting points on the board, making plays and getting to the basket off the bounce. She can create her own paths and has a nose for openings. 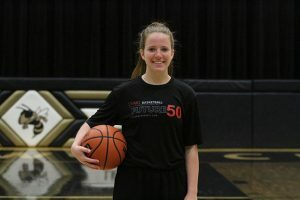 An impressive athlete who works hard and can put up points with her mid-range jumper and through her athleticism. A smart guard who plays off the ball and knows how to finish plays in transition. She moves well and keeps her head up and can jump passing lanes and also move inside to score with her weak hand. Also a slasher and a great on ball defender. 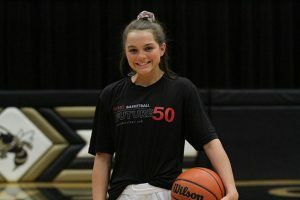 Another defensive-minded player from Ozark who is hard to stop when she goes downhill. She hustles nonstop and she smart on both sides of the ball. 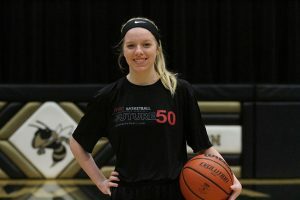 She sees patterns in opponents and capitalizes with points, assists and great screens and off ball play. Dryer can score and defend the ball. She pays big and can slash and pull back for a jumper. She scores through contact and can move well off the ball as well. 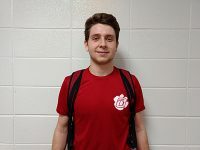 An interesting player who looks to rebound and is quick to run the lanes. 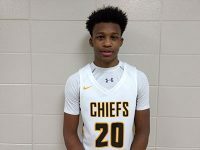 A strong player who is always looking for a steal and transition play. 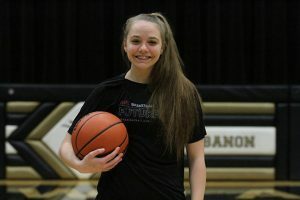 Gilliand has a soft shot and can be seen showing off underneath the basket, behind the line or by zipping passes across the floor. She has a smooth shot with a clean release and can score in traffic. 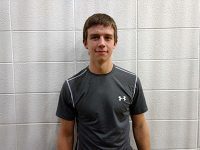 Also a good passer, team leader and 3-point shooter. A tall player who defends the perimeter. She has good length and can block shots and score when she needs to. 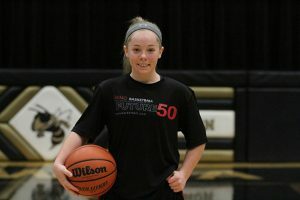 She also cleans up plays underneath and can score in bunches when she has the ball and a chance. A tall post player who can block out players and finish on the move. She puts her head down and connects more often than not. A rebounder who fights hard and looks to clean up plays. Also a good free throw shooter who takes her time. A scrappy player who plays great defense and runs the floor. 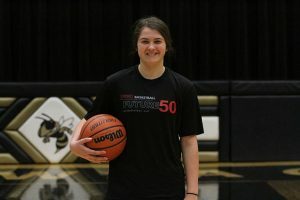 She’s an outside shooter who has the speed to go inside and score off the glass. She works hard when she’s on the floor. 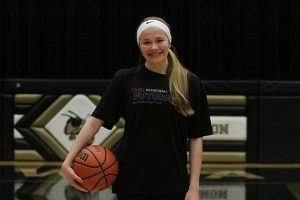 Rolen outworks opponents and makes good decisions when the ball swings her way. A perimeter player who gets open and knocks down shots. 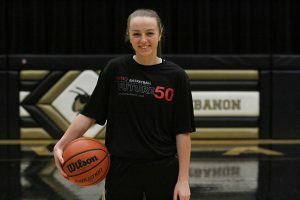 Rolen was a key member of Thayer’s state championship team in 2018-19. A hard-nosed defender who plays big inside. 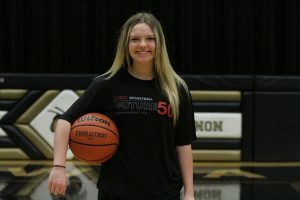 She is listed at 5’7 but she defends well against taller players and can score with her weak hand. 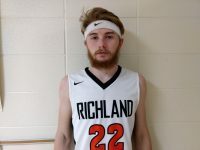 Rowald gets every board imaginable and can score from the mid area and around the basket. 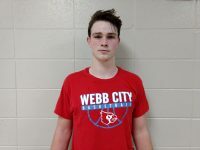 A tall wing player who can cut inside and score underneath the basket. 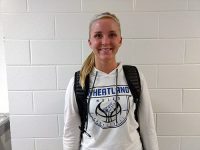 She has a good feel for the floor and played several positions on offense and several on defense as well. 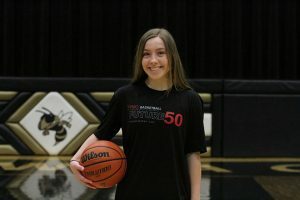 She scores off balance and can connect from the free throw line.